Frankfurt am Main, Germany, 2018-Apr-27 — /Travel PR News/ — Deutsche Hospitality’s Construction, Interior Design and Engineering Department will be under new leadership from June 2018 when Gernot Porcher takes over as Senior Director. Mr. Porcher will succeed Sigurd Kern, who is retiring after more than three decades with the company. Mr. Porcher, who holds degrees in architectural engineering and property management, can look back at around 20 years of experience in the fields of project management (mainly involving major construction ventures), risk management and real estate management. His future areas of responsibility at Deutsche Hospitality will encompass construction and technical engineering measures together with interior design at the company and within the scope of planned expansion. Mr. Porcher has headed up key projects for Deutsche Börse AG, Lufthansa AG and Fraport AG in the past and has already acted as lead manager for Steigenberger Hotels AG on many occasions. These responsibilities have included taking charge of a comprehensive programme of renovation works between 2005 and 2008. Mr. Porcher will be taking over from Sigurd Kern, who is retiring after 34 years of service although he will still be available to the company in a consultancy capacity. 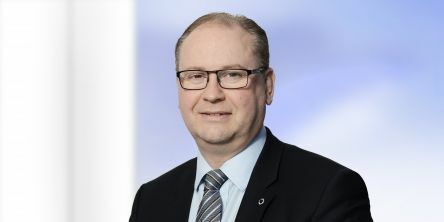 Sigurd Kern has worked for the company since 1984. During the intervening period, he has planned, renovated and modernised numerous hotels in Germany and at locations abroad. Sustainability, energy and waste management are topics which have accompanied him since the very outset of his career, and these issues have continued to form a focal point of his work right down to the present day. One of his final projects was an extensive programme of redevelopment works at the Steigenberger Hotel Bad Homburg. This project has proved to be a fitting finale to all Mr. Kern’s endeavours by winning multiple awards and helping the hotel to reposition itself in a highly effective way. Deutsche Hospitality brings together four separate hotel brands under a single umbrella. Steigenberger Hotels and Resorts has 60 hotels housed in historic traditional buildings and lively city residences and also offers health and beauty oases set at the very heart of nature. MAXX by Steigenberger – is a new and charismatic concept which places the focus on the essential in accordance with its motto “MAXXimize your stay”. Jaz in the City branded hotels reflect metropolitan lifestyle and draw upon the local music and cultural scene. And IntercityHotel offers 40 upper mid-range urban hotels, all of which are located within easy walking distance of railway stations or airports. A further 30 hotels are currently at the development stage. This means that the Deutsche Hospitality portfolio currently encompasses a total of over 130 hotels on three continents. This entry was posted in Business, Hospitality, Hotels, Travel, Travel Management and tagged construction, Deutsche Hospitality, Engineering Department, Gernot Porcher, Interior Design, Matthias Heck, Sigurd Kern. Bookmark the permalink.